This Republic of Suffering is an illuminating study of the American struggle to comprehend the meaning and practicalities of death in the face of the unprecedented carnage of the Civil War. Faust explores the impact of the Civil War’s enormous death toll from every angle: material, political, intellectual, and spiritual. She details the logistical challenges of preserving, identifying, and burying the dead, and describes the ways death changed not only individual lives, but the nation as a whole and its understanding of the responsibilities of citizenship. She explores how a deeply religious culture struggled to reconcile the slaughter with its belief in a benevolent God in this profoundly moving and informative book. The Unraveling is a fantastic first-hand account and bipartisan skewering of how everything fell apart in Iraq. It is written from the unique perspective of the brave and intelligent Emma Sky, who volunteered to help rebuild Iraq. Her assignment was only supposed to last three months, but she ended up serving there longer than any other senior military or diplomatic figure, giving her an unrivaled perspective of the entire conflict. Sky, a woman of the Left, takes both Bush and Obama to task in this fantastic book that often reads like a novel. It is a detailed, and frequently darkly humorous, account that tries to understand everyone involved, Iraqis and Americans, on their own terms. You will go from shaking your head in anger to feeling a lump of pride in your throat for great Americans like General Odierno, who tried so hard and came so close to getting the job done. One of a handful of fair, must-read books on the Iraq War. I chose this poem this week because I am currently reading Daniel Hannan’s book, Inventing Freedom: How The English-Speaking Peoples Made The Modern World. Hannan excerpts this poem in a section on how language is a prerequisite of mutual understanding and how it influences one’s perspective and ideas. Hannan notes that English as a language is “protean, freewheeling, and voracious.” It is unregulated, and when you have freedom of language you have freedom of ideas. Societies with more tightly controlled language also tend to have governments that more tightly control the people. The English language has been a vehicle and a guarantor of liberty for centuries and has enabled the English-speaking peoples to understand each other and work together, to the immense benefit of mankind. Thinking in terms of how language alters our perspective and understanding of one another also helps explain things like why diplomacy between nations can often be so difficult and why it’s so important that immigrants learn and use the language of their adopted country in order to be properly assimilated. Excited to read Charles Murray’s new book, out tomorrow. This book is a must-read for anyone interested in trying to understand the global threat and radical evil of our time. And if you’re a responsible citizen, you should be. 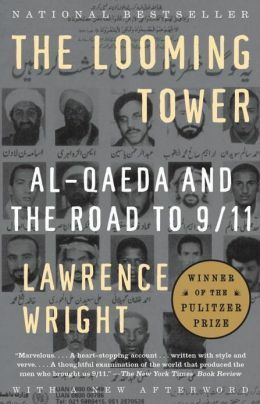 Wright’s skill as a writer makes The Looming Tower read with the lyrical ease of a novel and his talent as an exhaustive researcher makes the book one of the most valuable historical masterpieces of the modern era. Every great writer is present everywhere and visible nowhere. Any ideologies Wright believes in or personal politics he adheres to are nowhere to be found in these pages. He simply explores the complex history of the radical Islamist movement as a whole, explaining not just the rise of al-Qaeda, but the roots of the Muslim Brotherhood as well. His account of just how badly the Clinton administration and our intelligence bureaucracies botched the many opportunities to stop 9/11 will make your blood boil, but it’s a story that MUST be told. This indispensable book ends rather abruptly and literally stops immediately after 9/11, and that’s really the only criticism I have of it. I wanted more! 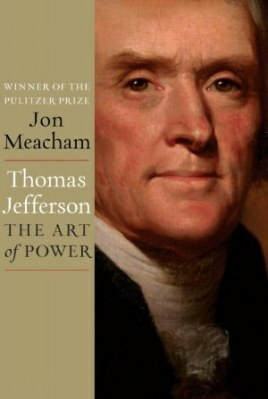 Add it to your must-read list immediately. It is captivating, absorbing, appalling and informative and if you’re the kind of person who can finish a book in one night if it’s good enough, I have no doubt you will do it with this one. It’s THAT hard to put down.